9780816692378 | Univ of Minnesota Pr, May 15, 2016, cover price $105.00 | About this edition: “You are about to enter a new genre, that of scientific fables, by which I don’t mean science fiction, or false stories about science, but, on the contrary, true ways of understanding how difficult it is to figure out what animals are up to. 9780816692392 | Univ of Minnesota Pr, May 15, 2016, cover price $30.00 | About this edition: “You are about to enter a new genre, that of scientific fables, by which I don’t mean science fiction, or false stories about science, but, on the contrary, true ways of understanding how difficult it is to figure out what animals are up to. 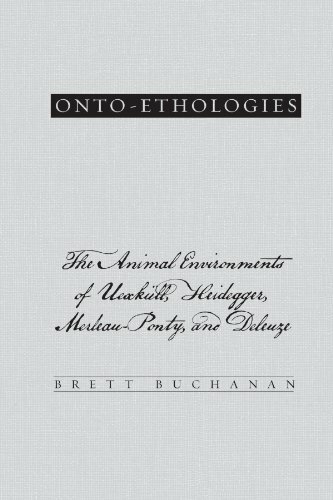 Product Description: Examines the significance of animal environments in contemporary continental thought. 9780791476116 | State Univ of New York Pr, November 6, 2008, cover price $75.00 | About this edition: German biologist Jakob von Uexkull focused on how an animal, through its behavioral relations, both impacts and is impacted by its own unique environment. 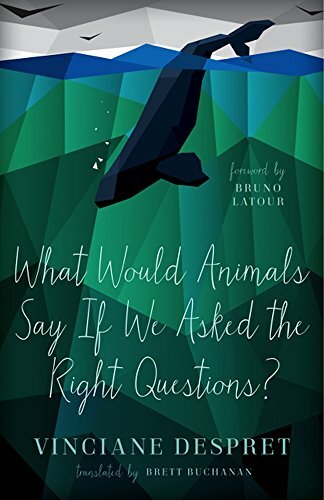 9780791476123 | State Univ of New York Pr, July 1, 2009, cover price $26.95 | About this edition: Examines the significance of animal environments in contemporary continental thought.